CLEVELAND—The performances of Shen Yun Performing Arts Touring Company on Feb. 10-11 at the State Theatre drew praise from audience members for their uniqueness, rarity and educational qualities. Shen Yun’s mission is to revitalize traditional Chinese culture through storytelling dance and music. “Classical Chinese dance has a long history of thousands of years, and while soaking up profound wisdom from every era and dynasty, it has become a complete system of dance, embodying traditional aesthetic principles.” says the Shen Yun website. Mr. Clark was in awe with what he saw and the skill it takes to be a classical Chinese dancer. “The talent of the dancers, the choreography, and the uniformity to which they dance was something I have never seen before,” he said. “I really liked the movement and the color. That is what really made the show really fantastic,” said Mr. Clark. “It is a very different experience for us and one that was very enjoyable,” he noted. 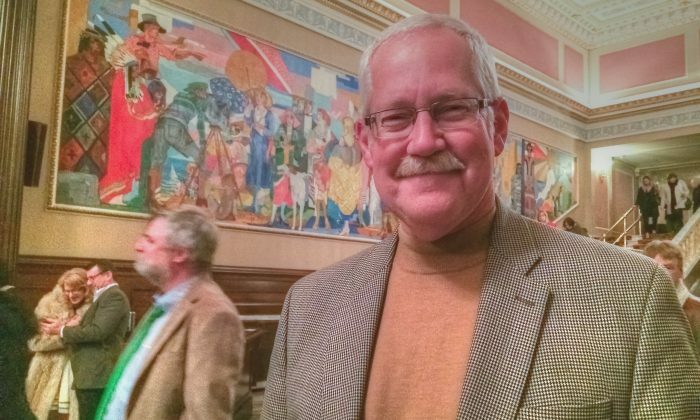 “It’s wonderful that they express themselves here in the free world,” he said. “It’s unfortunate that they can’t do it in their home country, but they are actually showing a form of unity that we don’t often see very much of.” said Mr. Clark. Julie and Justine Anderson at State Theatre after seeing Shen Yun. 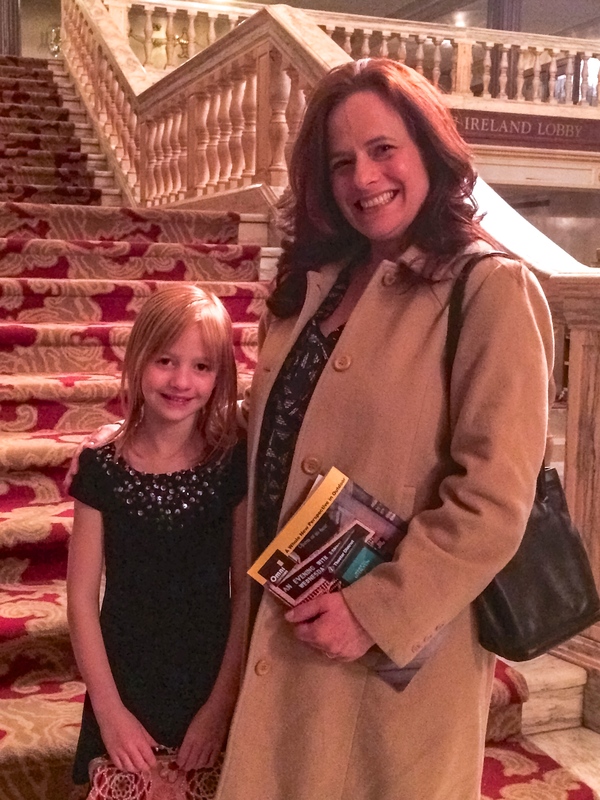 Julie Anderson, an office manager from South Euclid, Ohio, also attended the Feb. 11 performance of Shen Yun with her daughter Justine. “I think that when it is made accessible, beautiful, colorful, and lively, and it incorporates elements of spiritualism it touches everybody,” she added. Ms. Anderson was saddened that today’s China could not enjoy and learn about ancient, traditional Chinese culture through Shen Yun. She felt blessed to be have been able to have seen Shen Yun . “I feel like I learned something tonight.” she said. “Shen Yun soloists’ singing technique is the bel canto technique [and sung in Chinese],” said the company’s website. The audience can follow the English lyrics which are projected on the digital state-of-the-art backdrop. The backdrop also provides a magical window which takes the audience into each realm and era in an exciting and wondrous way. “I liked the incorporation of the technology with the live dancing. I thought it was very exciting,” said Ms. Anderson. Both mother and daughter highly recommend Shen Yun to others. “I think everyone should come and see Shen Yun,” said Ms. Anderson. 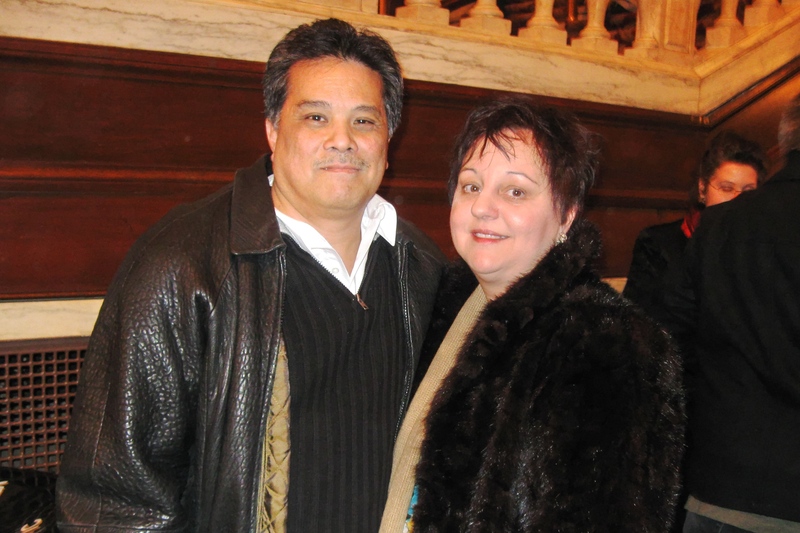 Gus and Barbara Miguel found the Shen Yun performance on Feb. 10 to be exceptional and educational. “It’s spectacular. It’s more than I expected. I thoroughly enjoyed it,” said Mrs. Miguel who is a neonatal nurse practitioner. Her husband, Gus, an LPN at the Veterans Administration Hospital, found Shen Yun to be uplifting. “I just liked them overall, as far as choreography and the costumes (they) were spectacular,” he added. Mrs. Miguel stated that Shen Yun is true to its mission to restore traditional Chinese culture. “They give their full self when they do the performance. They transform (take) you there. They believe in it,” she explained.